At this time there are no more places available. From now on we will put new registrations on a Waiting List. 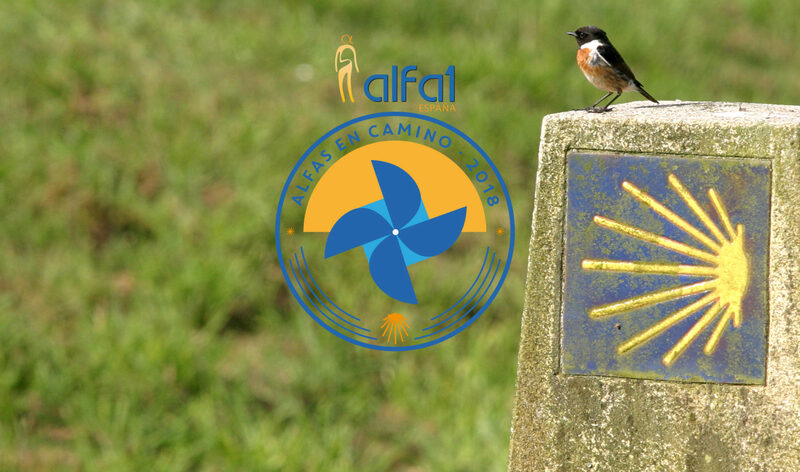 We encourage you to register in case there are cancellations, or if you belong to priority groups: Alfa-1 Spain members, patients with disabilities and / or oxygen needs and children with Alpha-1. Price includes accommodation in a double room*, meals from the night of Saturday, August 25 to breakfast on Sunday, September 2nd. It also includes support on the Camino (oxygen, battery recharge, support vehicles); transfer from hotels to / from the Camino; and visits to Samos and Pambre (see program). Participants will also be provided with basic equipment for the Camino: 2 t-shirts, 1 cap and 1 light backpack for the Camino. (*) Single room will increase the fee. ATTENTION PLEASE: these prices may be subject to change depending on the final composition of the group. We are a non profit Association but also without economic resources. Due to the characteristics and needs of the group there is a limited places. Priority will be given to the Alfa-1 Spain members, to patients with disabilities and / or oxygen needs and to children with Alpha-1. The next criterion will be the registration date of the Application Form. If more applications than available places are registered, a waiting list will be opened, in case there are cancellations. The reservation of the place implies covering the Application Form and paying € 50 (account number Bankia ES0420384040326000111074 SWIFT/BIC CAHMESMMXXX). The proof of income or transfer must be sent to camino@alfa1.org.es. In the case of families with more than 2 participants, it will be enough to pay a reservation for 2 of the individuals. The closing date for booking applications will be May 25th. After this date we cannot guarantee a place. On May 30th, the final price will be reported. The payment of the total must be made before June 15th (deducting € 50 contributed as Reservation of place). Requests for reimbursement of the amount contributed will only be accepted when the cancellation is due to health reasons. Unfortunately from June 30th we cannot guarantee the repayment of the total contributed even for health reasons, unless the place is occupied by another participant on the waiting list. If not, from June 30 the amount to be reimbursed will be based on the payments already made by the Association as a guarantee of accommodation, maintenance and other expenses generated by the participants. If the cancellation is due to different reasons, the contribution will not be refunded from June 15th. In the Registration Form, participants will be asked to join a Group. This does not mean that once in the Camino you cannot change the Group if the circumstances change. Please choose one of the groups depending on physical fitness and pulmonary capacity, and select it in the Registration Form. Pilgrims in good physical fitness, without lung disease or with mild illness. They will complete the whole stages. The organization volunteers will take them to the starting point and collect them at the end of the stage. The group will have support for transfers in case of need or urgency. Participants will have a map of the stage. The route is identified on the map in blue. For participants in good physical fitness and perhaps with lung disease that prevents them from walking very steep or too long ascents. The organization volunteers will take them to the starting point and collect them at the end of the stage. The group will have support. They will be transferred to avoid sections with very steep or too long ascents. They will have a map of the stage with the collection and support points for transfers in case of need or urgency, as well as oxygen and/or battery recharging points. The route is identified on the map in green. For participants with advanced lung disease who feel able to walk sections of up to 3-4 km that include some short climbs. They will make 2 sections with these characteristics every day. The organization volunteers will take them to the starting point and collect them at the end of the stage. The group will have support. Participants will be transferred between the selected sections. They will have a map of the stage with the sections to be covered, the collection points and oxygen and/or battery recharging points. They will have support for transfers in case of need or urgency. The route is identified on the map in orange. For participants with advanced lung disease who feel able to perform 2-kilometer sections without ascents. They will walk 2 sections with these characteristics every day. The organization volunteers will take them to the starting point and collect them at the end of the stage. The group will have support. They will be transferred by vehicle between the sections selected to walk. They will have a map of the stage with the sections to be covered, collection points and oxygen and/or battery recharging points. They will have support for transfers in case of need or urgency. The route is identified on the map in red.